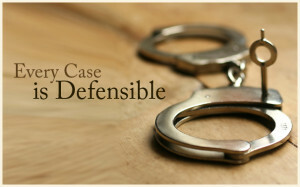 How Do I Find The Right Criminal Defense Attorney For My Case In Massachusetts? For most people, being charged with a crime is an unnerving experience. The first thing someone might do is get on the Internet and research the statute under which he has been charged. This is a really bad idea. You will look at the statute and see a potential jail or state prison sentence. Panic will start to set in. So, you might next use the Internet to find a criminal defense attorney. The website might provide you with similar information. This might not make you feel any better. Keep this analogy in mind. When you don’t feel good you might go to the symptom checker on the Internet. And guess what? You will quickly learn that you have a terminal illness. Yet once you meet with a doctor you find out that you only have a pulled muscle. So while the Internet and criminal lawyer websites might be a good starting place for representation you have to do more to find the right person to represent you. Here are my thoughts on how to find the right criminal defense attorney for your case. Don’t just talk to one lawyer. Every lawyer has his own approach to defending criminal accusations. However, usually after a thorough discussion the most experienced and honest lawyers will have a similar perspective on your case. For example, if get arrested for a shoplifting over one hundred dollars case, you have no prior record and you did in fact commit the crime, you are most likely going to resolve your case in one of three ways. The case either be dismissed on court costs or, your will get pretrial probation or at most the case will be continued without a finding. The actual result depends on what court the case is in and who the assistant district attorneys are who have the final authority to resolve the case. If you find that you are getting similar advice from a certain number of lawyers and a consistent price range, you are probably looking at some pretty reputable lawyers. If on the other hand, if one of the lawyers you speak with starts scaring you into thinking that you are going to jail you should be leery of this person. Chances are pretty good that this person is trying to scare you to generate a larger fee than is necessary. There is always the likelihood with a criminal charge that you will be spending a decent amount of time with your lawyer. You will talk over the phone on several occasions, meet in person and see each other in court. You will have countless questions about the charges, your defenses and the potential outcome of the matter. You need to be able to talk freely with your lawyer and not feel like you are being pushed to the side. Make sure all of your questions are answered completely and that you know everything that you want to know about the process. Feeling comfortable with your criminal attorney is a must. Unfortunately there are a handful of unscrupulous lawyers who prey on defendants and use sales pitches to generate business. As discussed above, some lawyers prey on your fears of going to jail. Others make promises. Not only is that unethical but it is not practical. There are no guarantees in this business. Lawyers can base their expectations on their experiences but you should be skeptical about someone making promise. Bad mouthing or denigrating other lawyers is a no no. Any lawyer who has to do that to get a client obviously lacks confidence in his own abilities. Don’t fall for this tactic. The Law Offices of Stephen Neyman, PC has been defending the accused for years. Our experience is unmatched. Call us at 617-263-6800 now or send us an email if you want to talk about your case. Let us defend you.